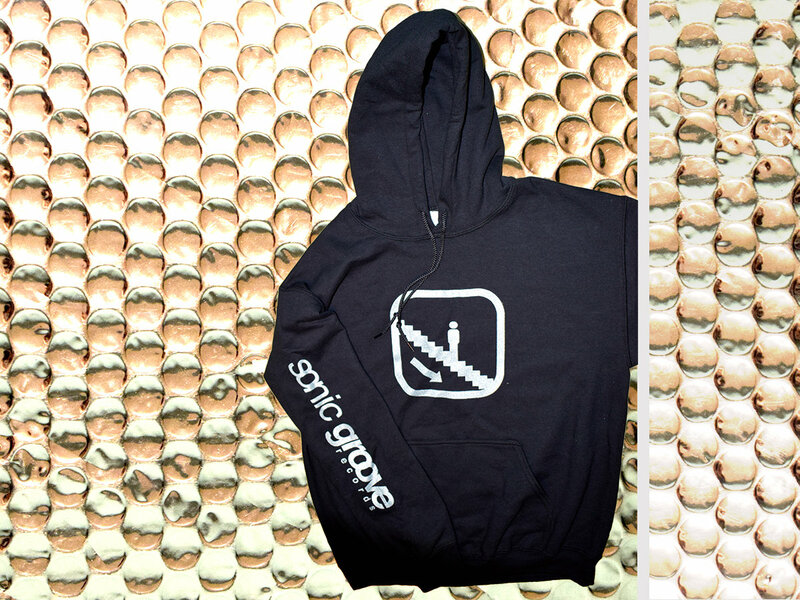 Sonic Groove Records Silk Screen Edition "Silver Hoodie 2018"
Printed by hand with special water-based silver ink at SG Headquarters Berlin. Logo Elevator Man on front. Logo Font on right arm. 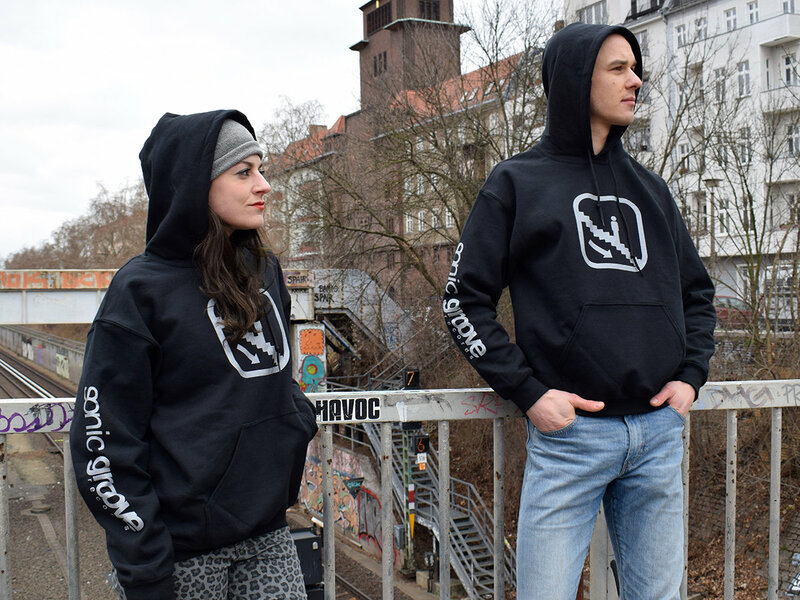 Black Unisex Heavy Blend Hoodie by Gildan. When your size is sold out, please contact us.